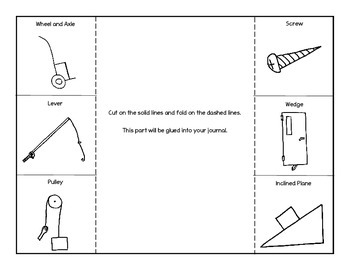 This simple machines foldable covers 6 simple machines: pulley, lever, inclined plane, wedge, screw, and wheel and axle. 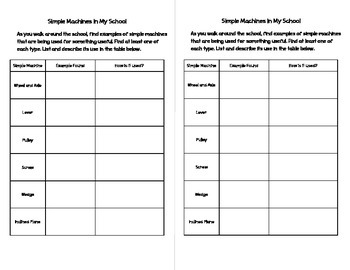 After the students complete the foldable, they have an activity where they get to find everyday uses of simple machines followed by a writing prompt. 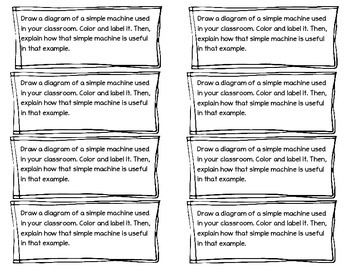 This follows the left side / right side journal design. 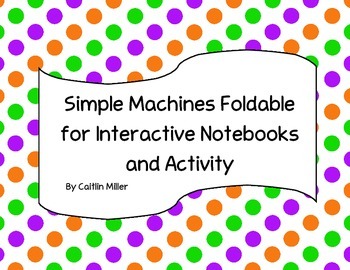 Simple Machines Foldable and Activity by Caitlin Miller is licensed under a Creative Commons Attribution-NonCommercial 3.0 Unported License.